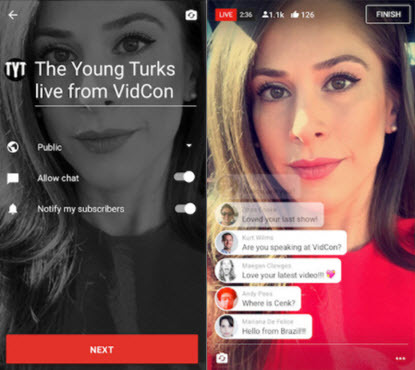 Live streaming apps are widely used nowadays since they help you broadcast live streams. You may also tune in with what other people are broadcasting in different parts of the world. With live streaming apps, you may connect with your friends, relatives and loved ones in real time. You can get updated of the things that they do or celebrate. Below is a list of the best live streaming apps which you may utilize in case you want to do or watch live streaming videos. Periscope is Twitter’s live streaming platform which lets you broadcast a live video to the public or to just selective people if you want to. You may share the link on Facebook, Twitter and other social networking sites. Discovering trending live streams seems to be easy because they are listed on a map. In addition, you may also see who are your live viewers, replay viewers and more. This tool also features a live 360 degrees video but it is only available to “select partners” only. This app is both available on Google Play Store and App Store. Facebook is a very popular social media site which also took a step in dealing with live streaming. Actually, Facebook tested Facebook live in a separate app called “Mentions”. After thorough testing made, Facebook Live has become part of the regular app; now well-known as one of the best live streaming video apps. By clicking the “Live” button on the status update area, you may then start sharing to the whole world what is happening to you at that very moment. You may see who’s viewing your video and read on comments while doing the Facebook Live. 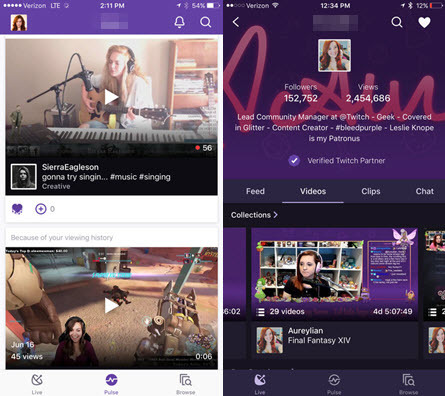 Twitch is a live streaming platform but it targets the gaming community. This app lets you broadcast your game play and chat with other viewers & streamers anytime all over the world. It supports a wide variety of platforms including PlayStation 4, Xbox One and PC. 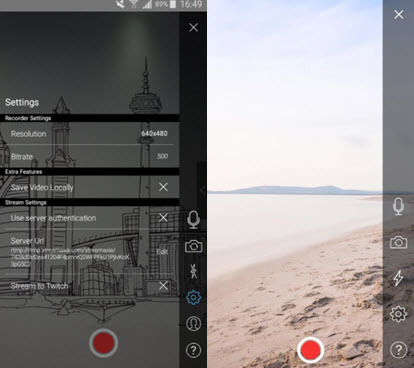 Besides, it is also considered one of the best live streaming apps for Android and iPhone which is loved by gamers. YouTube officially launched a live streaming feature in 2013 but most users do not know about it. The live streaming that you broadcast will only be seen by your subscribers. Furthermore, you can just use this feature if your channel is verified and if you don’t have any live streaming restrictions. Recently, it makes major updates and attempts to compete with Amazon’s Twitch. As a popular multimedia mobile app, Snapchat was originally created for photo sharing. 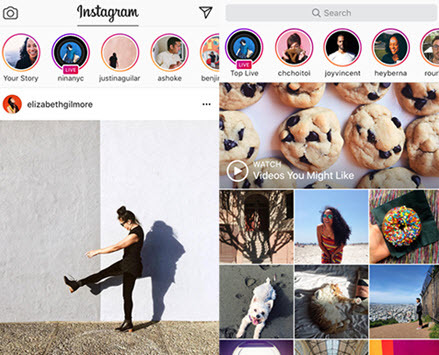 Later, it enables you to chat with your friends and offers Live Stories which are compilations of snaps from different users around the world. Furthermore, these snaps only last for 24 hours and after the given period, the Live Stories will vanish. 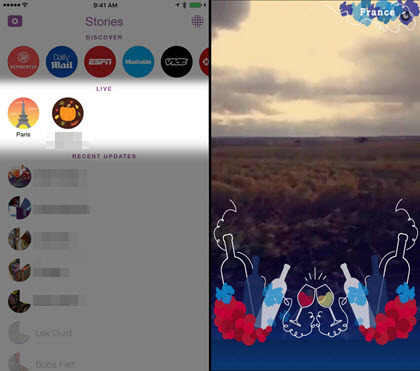 Therefore, many users are wondering how to save Snapchat videos. Another social media site which also dealt with live streaming is Instagram and they call it Instagram Live Stories. The feature of broadcasting live video was added last year. Just like on Twitter, your followers will be able to see your live video. You’ll also get to see how many viewers you have. 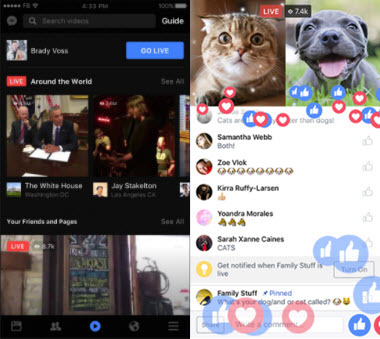 Unlike Facebook Live, those live videos couldn’t be replayed after you’ve ended streaming. Another useful live streaming app is Livestream. You may broadcast live events from your iPad or iPhone to your friends on Facebook, Livestream and Twitter. You can replay events streamed via Livestream after they’ve ended in order to save your own streams to share elsewhere. Moreover, if you want to enjoy live events on your big screen with Chromecast, Roku or Apple TV, you can also make sure of it. 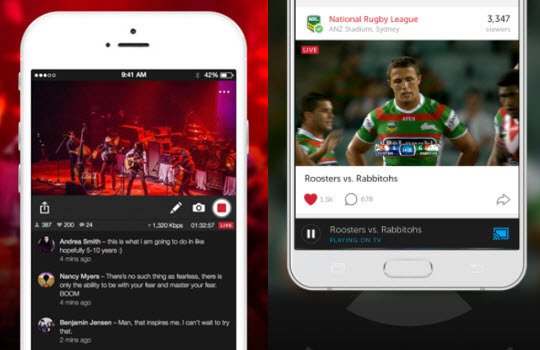 Streamup offers a fun way of live streaming music videos. 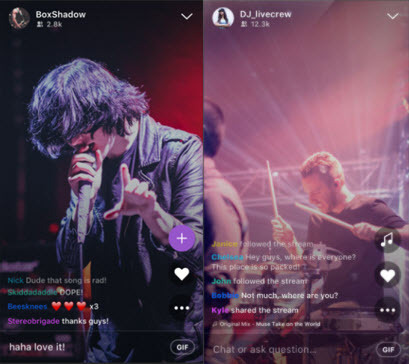 With it, you can chat with your favorite musicians and performs live shows as you like. When you go live using this best live streaming app for iPhone, you may add overlays, filters and even special effects. When the shows are done, you are able to replay them anytime. 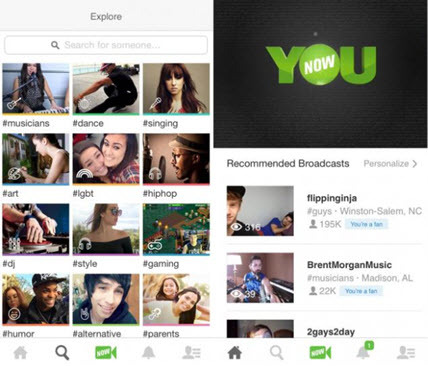 Another free broadcasting app which you can use is YouNow. Just like showing yourselves in real time, you may also interact with other broadcasters by commenting and liking on their live videos. Actually, you may use some stickers in comments. Aside from that, you may also share your live streaming video on Instagram, Tumblr and Snapchat. On the “Explore” section is where you can find the top broadcaster and moment makers in the whole community. Broadcast Me can also help you broadcast live streaming through Android and iOS devices. Its multimedia server allows the RTMP publishing. This app is free for Android users while iOS users need to make a payment before they can use it. 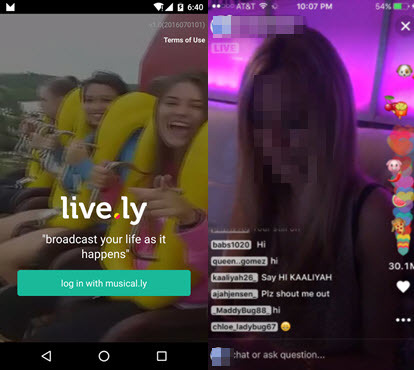 Live.ly is launched in 2016 and it has the same makers as the popular Musical.ly application. 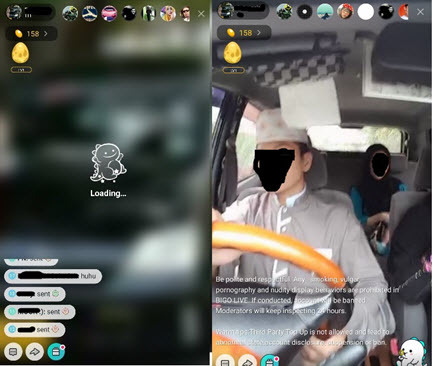 As one of the popular free live streaming apps available on the internet, it lets you do a live broadcast of your current activity and watch live stream all over the world. Furthermore, you may also join the conversation through commenting. The good thing about this app is that it can connect with your Musical.ly account (if you have any). 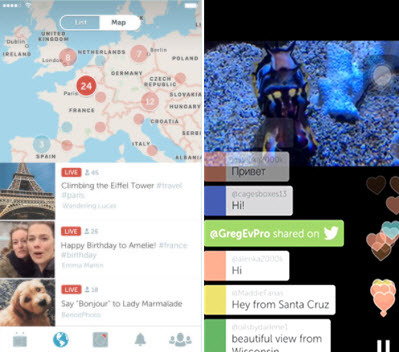 Another popular live streaming platform that widely used on the internet is Bigo Live. Here you can find and see how talented performers perform in the whole world. It has Star Broadcaster function which lets you interact with celebrities. Furthermore, you may also invite your friends to be your co-host for your live streaming. This app also offers rewards and gifts which you may convert to cash later on. 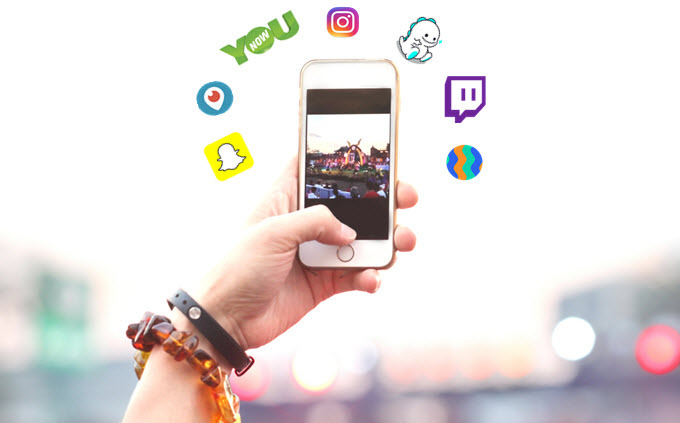 That is a quick list of the best live streaming platforms which you may utilize in case you want to broadcast a live streaming video on the internet. All of them are very useful and easy to use. Just choose which one is perfect for your needs.